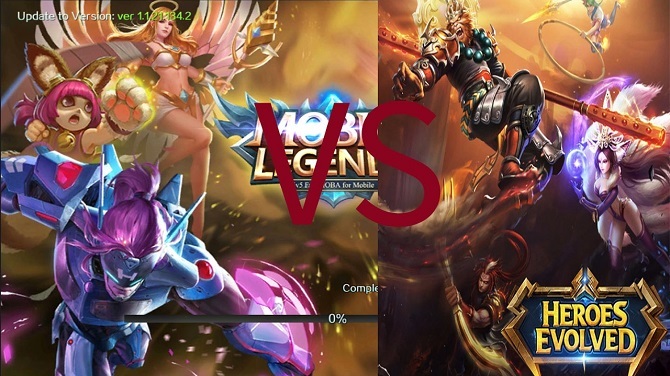 Mobile Legends VS Heroes Evolved, Which One Better? Howdy and good morning everybody! In this beautiful morning, I want to bring up a hot topic about MOBA games. Well, do you know? These days we are getting closer and closer to Millennium era, where everything gets simplified. If in old day we only know games like Dota, HoN, LoL, Warcraft as a strategy game. These days we also get a simplified version of all of those things. We have games like Mobile Legends, Mobiles Arena, Heroes Evolved and so many similar games. All of those game is categorized as MOBA genre. This day I will bring up a topic to compare two games in one genre. So, which one is better? Let’s find out who is better between Mobile Legends VS Heroes Evolved. Check it out, guys! 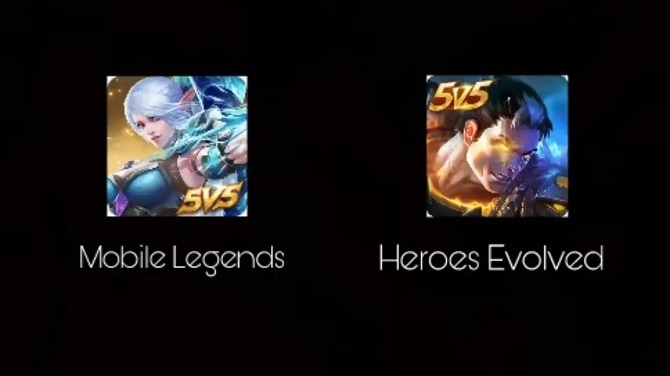 Mobile Legends vs Heroes Evolved! There is a tight competition between all of those games. Well, because the era of MOBA games already starts the big game’s developer like Garena even start to participate in this tight competition to attract and lure player with their games features. Some people say that the first MOBA game is Vain Glory but the one who truly starts this hype is Mobile Legends game. However, a lover of MOBA games will say that Heroes Evolve is the first game who apply smooth gameplay to their players. Well, to find out which one is better I will try to give you a short review about Heroes evolved and Mobile legends. Who is The Best MOBA Game? As I promised before, I will give you a brief review about both of these game. Furst, let’s talk about the standing champion, Mobile legends. On my Mobile Legends review, I will give a brief explanation about this game. Well, Mobile legends are produced and published by Moontoon. This game reaches their popularity in no time and the cause of this game popularity maybe because of the simplicity in this game and similarity to a game like Dota. You know? Even some fans of this game say that this is like a mini Dota. However, even though this game really superior in the usage of game data that is really small but this game still has a big problem in this game like Server Lag! Who wants to play in a laggy server? Now, let’s move to Heroes Evolved, Like review on Mobile Legends. On my Heroes Evolved review I will talk a little about this game. I dunno whether it’s following the hype or this game developer already predicted about the hype that will happen on MOBA game. Well, from what I experience, Hero evolved is way better prepared. The gameplay of this game is really smooth and the variety of the heroes is enough too. However, there are a few holes in this game like plagiary issues in several heroes, the complexity of this game is way too higher and the chat box that way too small for people with a big thumb like me. Well, I know there are nothing and no one can fulfill someone whole dream. But according to what I feel on this game, both of these games is really amazing. They have their own uniqueness and that’s what makes this game even more unique than the other game. Well, I think my article today about the comparison between mobile legends vs heroes evolved is enough for today. If you think my article today is useful enough for you, please share my article with the other people who loves to play MOBA games too. Thank you for sparing a few minutes to read my article today. See you soon in my next article and have a nice day.